This Dachshund Dog Doll House Miniature created by "We are Handmade" is best quality & special design with handmade & handpainted work. This figure has as adorable action. It is also made with high quality glass and outstanding detail as you can see on picture above. Measures Measures L 2.25 inches X W 1 inches. X H 1.25 inches. Since it is handmade work so it may has a little different detail from picture. The items are not come from china. All of them are made by artisan of Thailand. !!Furthermore!! If you are finding a nice gift for your friend's birthday, grand opening,holiday greeting gift or decoration stuff, this is the right item for you. please leave a review and let us know about your experience with our products (We are Handmade's product). Special design with handmade & handpainted work. The items are not come from china. All of them are made by artisan of Thailand. Measures L 2.25 inches X W 1 inches. X H 1.25 inches. Since it is handmade work so it may has a little different detail from picture. 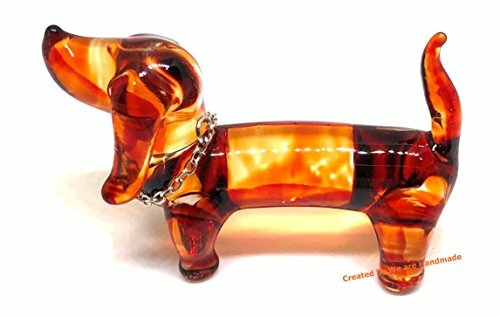 If you have any questions about this product by We Are Handmade Figurine Art Glass Blown, contact us by completing and submitting the form below. If you are looking for a specif part number, please include it with your message.